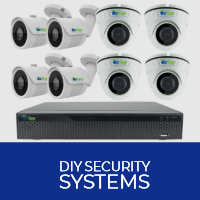 Description: ozspy.com.au is Australia’s largest online store for all surveillance and security needs, full range of products including Spy cameras, security cameras, wireless spy cameras, CCTV systems, alarm systems, hidden cameras, GPS tracking systems, bug detection and listening Devices, all available here at Ozspy Security Solutions. With a large range of products in high demand it is hard to go pass this opportunity, being Australia’s largest importer, wholesaler and retailer of surveillance and security products we can cater for any need your customers may have. Once joining our program, we look closely at your performance and will offer new incentives in order to motivate our partner’s efforts and success. Affiliates receive 8% from every sale referred 2nd tier affiliates receive an extra 2%. What are you waiting for? Join us today and get your customers making you money.